Rerun held on Saturday 10th December 2016 by the Independent National Electoral Commission has sent a strong signal to the Rivers State Chapter of the Peoples Democratic Party(PDP) ahead of 2019. Magnus Ngei Abe (born 24 May 1965) was First elected Senator for the Rivers South East constituency of Rivers State, in the April 2011 Federal elections. He ran on the People’s Democratic Party (PDP) platform . Abe entered politics in 1999 when he was elected into the Rivers State House of Assembly, serving as a Minority Leader. In 2003 he defected to the PDP, and from 2003 to 2007 he was Commissioner of Information in Rivers State in the administration of Governor Peter Odili. When Governor Chibuike Amaechi entered office in May 2007, Abe was appointed as Secretary to the State Government. He resigned to compete for the position of Senator for Rivers South East, but was then re-appointed as the Secretary to Rivers State Government. During the build up to the 2015 Governorship election in Rivers State,many political analyst were of the Opinion that the APC will hand over its ticket to Mr Abe because he was arguable the most popular candidate in the Party. But the Leadership of the Party chosed Mr Dakuku Peterside as their Consensus candidate for the 2015 Governorship election in Rivers State,asking Abe to return to the Senate. The Politics played for the partys ticket almost cos crises within the APC,but it was maturely managed. 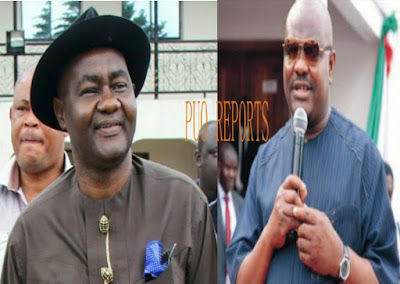 During the March 28 National Assembly election in Rivers State,all parties were expecting a win for Magnus Abe,but the results announced by INEC shocked observers because Senator Magnus Abe was the most popular Senatorial Candidate in 2015 in Rivers State. After filing his petition at the election Tribunal and having the election which brought the PDP to Power annulled by the Court Of Appeal,both PDP and APC returned again to trenches,campaigning for Votes. The Battle for the soul of Rivers State in 2019 was demonstrated both in the March 19 and December 10 2016 Rerun in Rivers State.